Sometimes I wonder why it takes me so long to get to things. Like recipes. Like a Cinnamon Scone Bread recipe, in particular, which I first saw back in 2014 on the Food52 website, and at that moment declared, “Oooo, I gotta make that!” Just how long could one deny oneself layers of scones sandwiched with streusel? Each year from that point on, I had it on my roster of breads to do. And yet, other breads — scones, biscuits, loaves, rolls — came and went and no Cinnamon Scone Bread. That was until a recent Sunday morning, a free morning I had assigned, at last, to Cinnamon Scone Bread. No longer on the back burner or the bun warmer or whatever bread list I made, scratched down in notebooks or sent to myself via text. 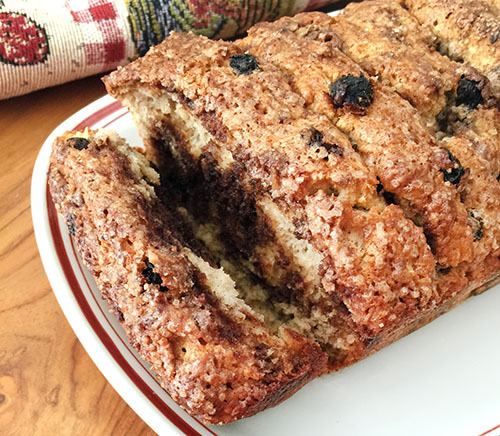 A morning at last for scone bread, a very clever and enticing creation where scones are “stacked” on their sides, lengthwise in a loaf pan and, in this case, also layered with a streusel filling. I knew the loaf would be good, just knew it, which makes my delay in making it so maddening. Still, there is such a thing as divine timing. 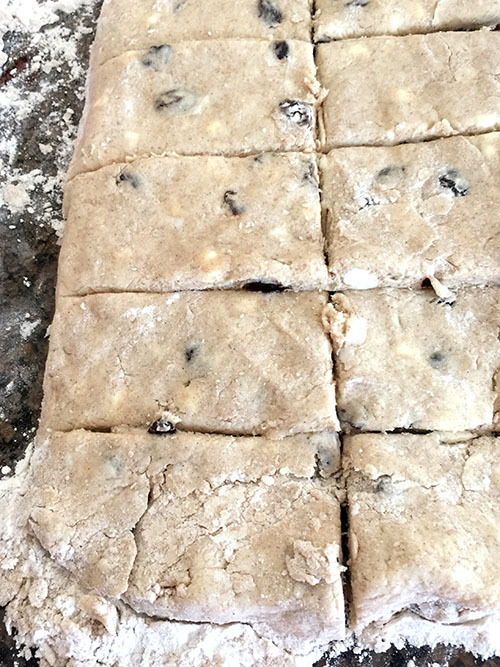 At this alignment of getting to the Cinnamon Scone Bread, it had been several months since I had even made scones and several weeks since I’d made bread, so I was more than ready. My attitude was very right. It was perfect timing, too, since it was National Biscuit Month, and scones being a merry cousin, would serve as proper ambassadors in a baking project. What I have not shared much here is my deep love of streusel. When sweets are presented, I’ll pick the streusel among them any day, be it on a crumb donut or a coffeecake. I’m always a pushover for that crumbly sweetness of brown sugar blessed with a heavy dose of cinnamon. 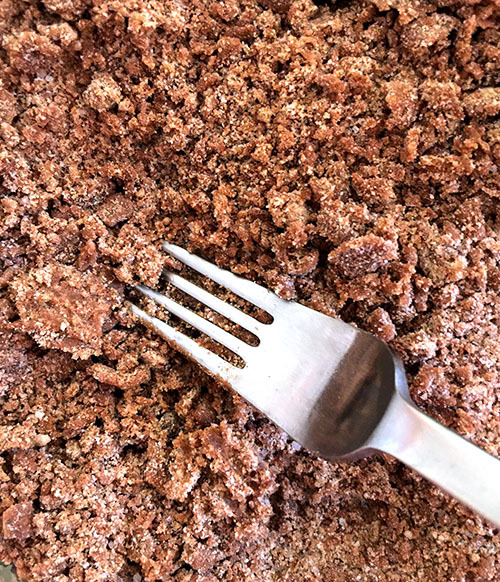 The streusel for the Cinnamon Scone Bread is an easy blending of flour, white and brown sugars, cinnamon and cream (I also added a pinch of salt). I also opted for adding a little espresso powder. Tasting the streusel, I hoped the coffee wouldn’t be too competitive with the cinnamon. 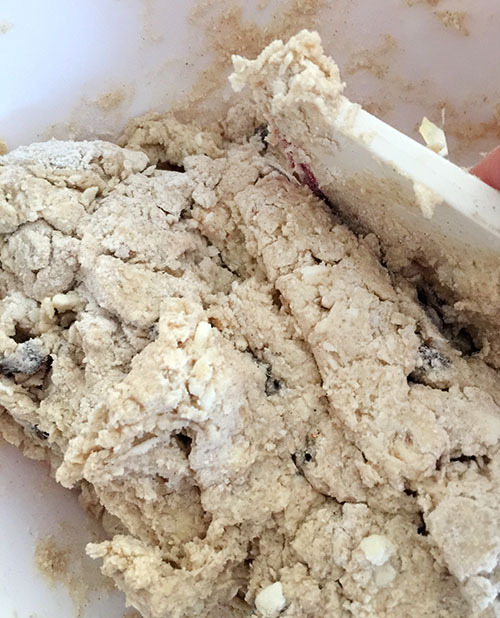 The scone dough is first assembled by mixing the dry ingredients with the butter in the food processor. One could do this by hand, too, but sometimes the machine offers a lighter touch, keeping the butter cold, with some of those ideal larger pieces that result in flakier scones. 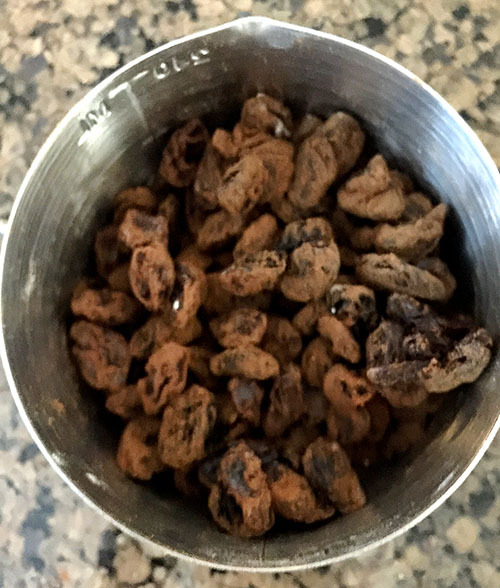 Currants or, in my case, raisins are tossed with cinnamon, then blended in with the flour/butter mixture. 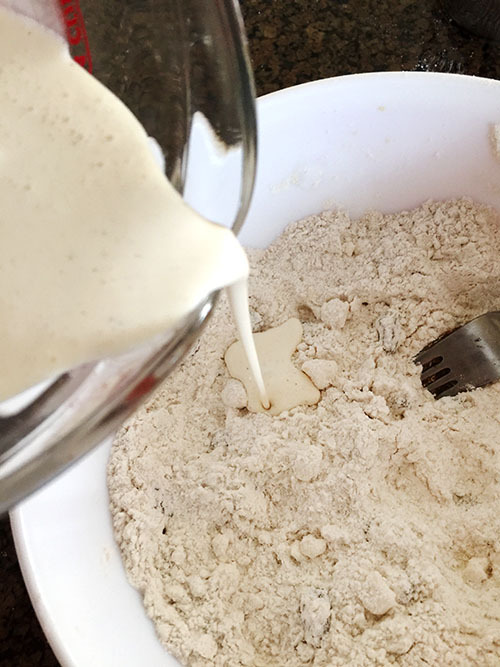 An egg and vanilla are beaten into a cup of cream, then blended into the flour mixture, just until a soft sough starts to come together. The dough is kneaded a bit in the bowl (a bowl scraper does come in handy here). Then turned out onto a generously floured board or work surface. 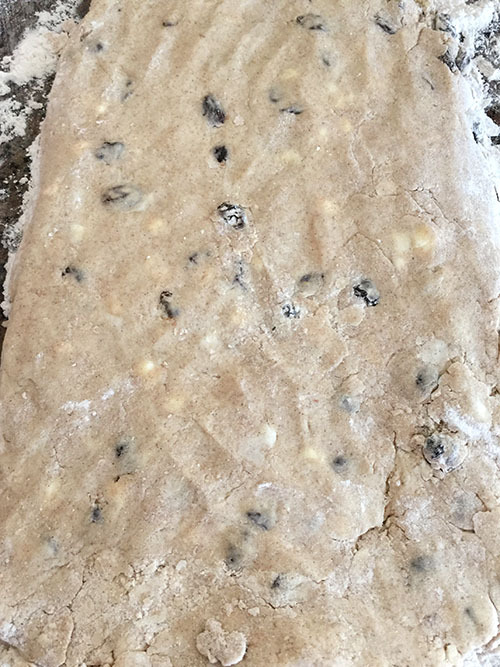 The dough is patted into a long rectangle, about 6” by 14”. The long rectangle is then divided into 12 more rectangles. 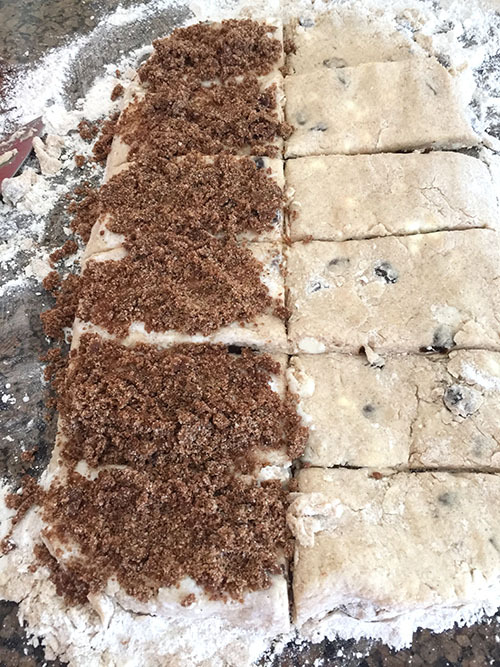 Half of the rectangles are brushed with cream and sprinkled with streusel. 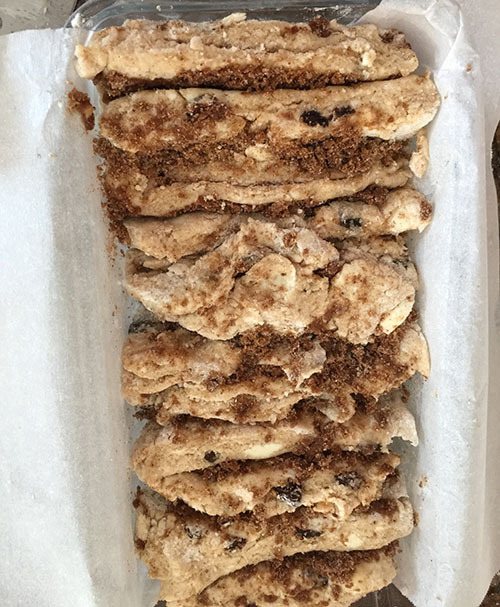 An un-streuseled rectangle is placed on top of each of those and the top of each of those is brushed with cream and sprinkled with more of the streusel. So I had six stacks of two, if that makes sense. I took each stack of two and placed it, cut side down, in my greased loaf pan (also lined with parchment paper). Once these little scone “sandwiches” are all in place (they will fill the pan and kind of be squeezed together), more cream is brushed on top and sprinkled with a little coarse sugar. This dreamy loaf, perfect for fall, fills the house with the best biscuit/scone/cinnamon roll/coffeecake smell. I took the recipe creator’s advice of tenting the loaf with foil during the last 10 minutes to keep it from over-browning. 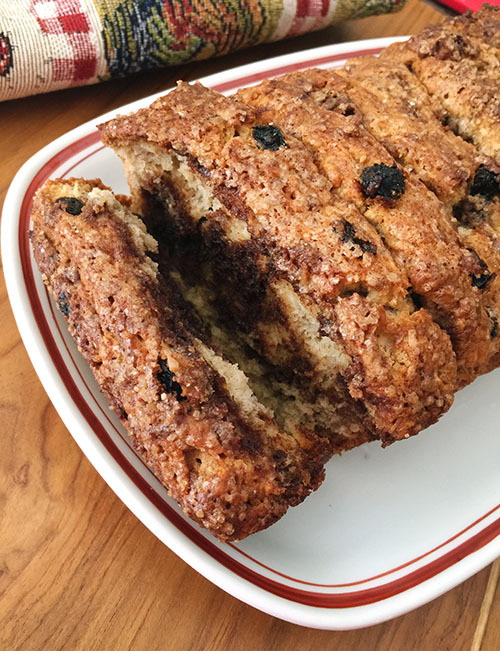 I can say that I’m glad I lived long enough and got my priorities right enough to make this delicious bread, which is like a pull-apart loaf of streusel meeting scone and ending up being something of its own. I loved this streusel, which was subtly enhanced with the espresso, so the cinnamon did take center stage. The loaf itself was buttery and flaky, light but dense enough to withstand a good dollop of butter (as it should be!). 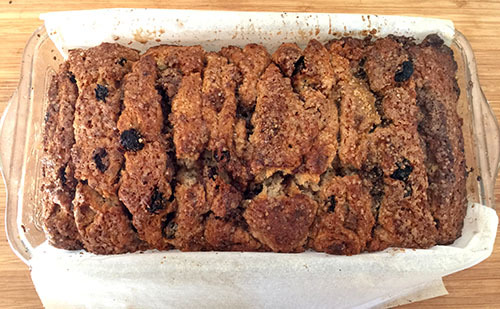 Maybe I waited so long because from now on, Cinnamon Scone Bread will happen again — and often. a chunky streusel. It’s more of a sugary blend. Set aside. the chopping blade and pulse to combine. lumps, just squish them with the back of a fork. 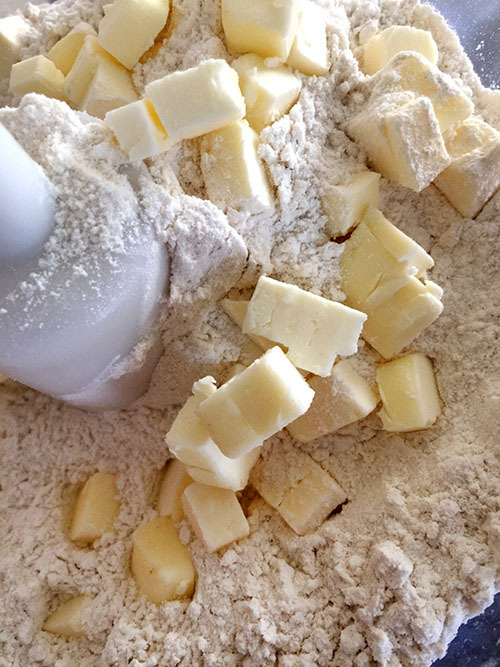 butter mixture, and toss lightly. a 6- by 14-inch rectangle. cream and sprinkle with sugar. I cover my loaf with aluminum foil, as I don’t want the top to scorch. it into a cake layer and not a streusel layer. 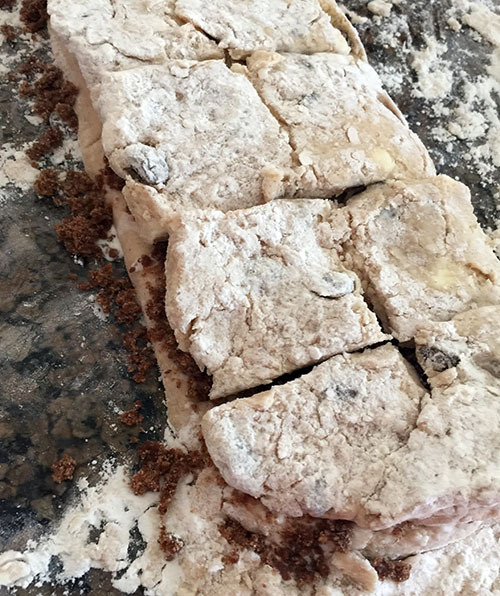 dough into 6 pieces, and proceed with the layering.